Now, I find this important for a couple of reasons. First, one of the ways I’ve chosen to address this need is to provide step-by-step seasonal tea party planning guides such as my latest, “The Guide to Planning a Tea Party–Winter Edition“. I can help you think through the steps needed to implement your event and provide some seasonal suggestions for the menu, decorations, music, and tea. And as a loose-leaf tea lover and drinker in a teabag culture, I hope new visitors to TPG will catch the vision for the role TEA is meant to play in the tea party. If they spend some time here, they can learn a bit about the role tea’s played in history and culture over the millennium. And hopefully they read the article, “The Top Seven Mistakes Tea Drinkers Make” or “The Tea Party’s Most Important Ingredient” and give tea its proper honor at their event. But the purpose of this article is to encourage the tea party planner to create their tea party their way. 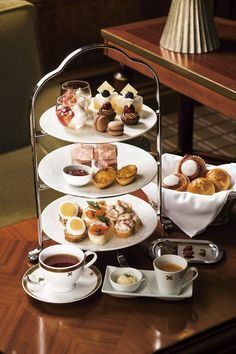 In other words, once you’ve mastered some of the basic information on the etiquette, table setting, and brewing of the tea, be sure to use your creative side, experiment, and have fun thinking about how your event can reflect YOU. A tea party is like a wedding in that regard. Yes, there are steps to follow, etiquette to consider, and most brides wear white. But ultimately, you want your uniqueness and heart to permeate your event. The best event will strike a balance between the art and science, the “how to” and the “want to”. Here’s some examples of what I mean. Know your style. I prefer the mix and match look. But others, with a more sophisticated style want an all-white table or all the teacups to match. Either works. Work with your colors. I prefer pastels, cherry reds and pinks, and teal greens. I strongly dislike blue, orange and tomato red. Sometimes I have to get creative around Thanksgiving because I don’t own anything in the traditional colors. Choose what you love over what you think is right. Serve the food you want. Yes, a cucumber sandwich on white bread with cream cheese is traditional. Scones are usually always served with clotted cream and jam. Are you wanting to use your creativity to produce a beautiful and traditional afternoon tea? Then go for it! But consider food menus apart from tradition, too. How can the food add to your theme? For example, Paris-themed teas are becoming increasingly popular. Do they HAVE cucumbers in Paris? I have no idea. Do some research and plan your menu creatively. 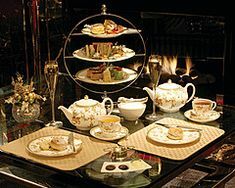 An excellent resource for ideas is Tracy Stern’s Tea Party: 20 Themed Tea Parties with Recipes for Every Occasion, from Fabulous Showers to Intimate Gatherings. Before I had any confidence to host a tea party or any event for that matter, I looked high and low for resources that would tell me exactly what to do. But the events I’ve enjoyed the most are the ones I’ve spent time creatively thinking through. How about you? Do you prefer someone else providing you a step-by-step guide? Or do you allow yourself to imagine how to bring some of your unique creativity to the event? Which method are you the most comfortable with when planning an event? I like outlines, guidelines, and “starter” ideas, but I almost never follow anyone else’s plan completely when doing anything, including party planning. I prefer that it be about 10% outline (if needed) and 90% my own originality. Perhaps I’m showing my inner geek, but I actually just sit and think about what would make good party ideas when nothing else is going on. I keep track, write them down, and I use them or not, but I always have something “in the works”. My hubby and I will head out to “window shop” at a party store just to look around at what’s for sale, and we always end up with more ideas than we know what to do with from a single small toy, a pinata, or a design on a paper plate. 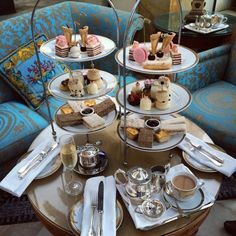 I love the idea of bringing all kinds of customs to tea. 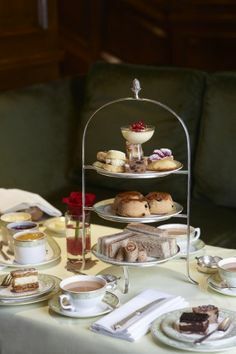 I plan to have tea parties each month this year, and I’m sure many of them will break with tradition! Thanks for your wonderful suggestions. I like a variety of outlines mixed in with my own ideas. The personal touch tops it off.